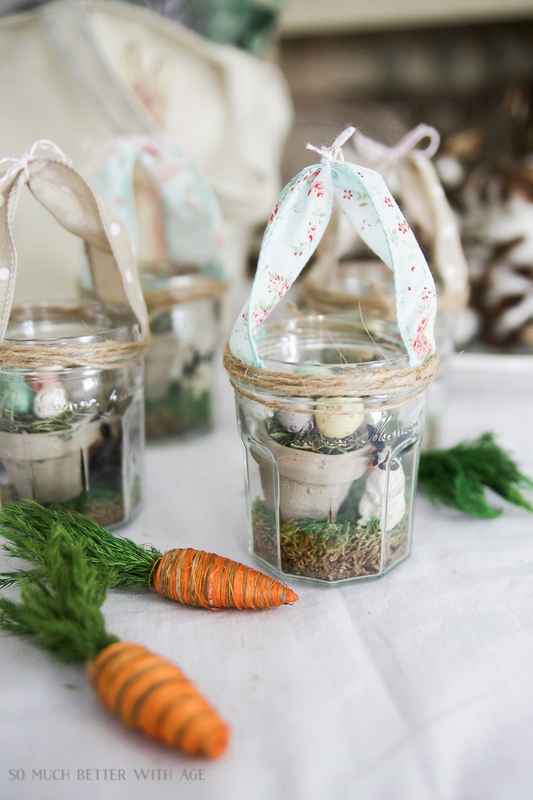 Glass Easter Jars with Bunny Ears are the cutest thing to make this Easter. 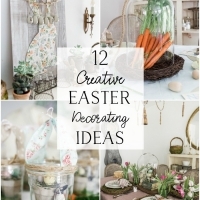 I love pretty, pastel colours so Easter is the perfect time to make some cute craft projects. 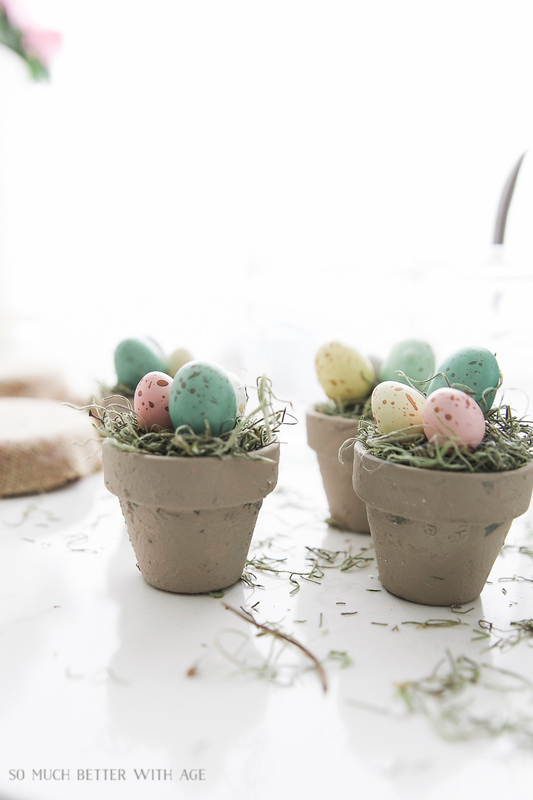 I used my favorite jam jars and painted some mini clay pots to look like they have a natural patina. 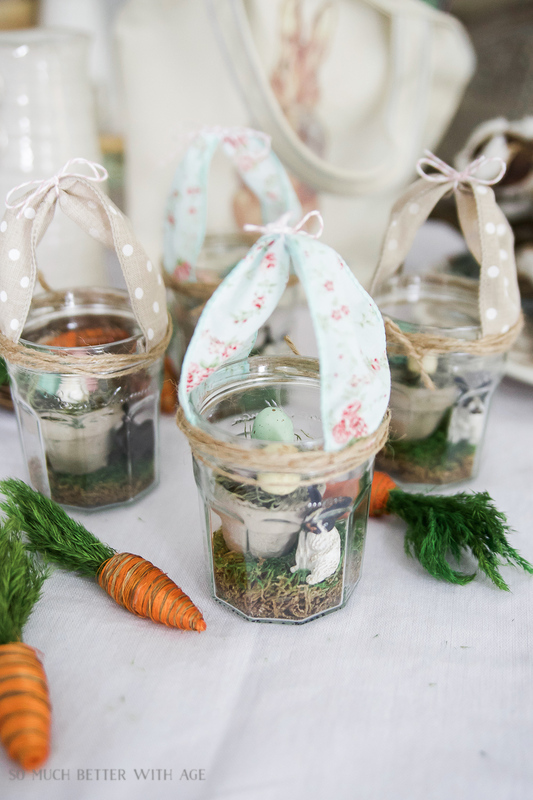 I also added some adorable miniature bunny toys with moss in the jars. 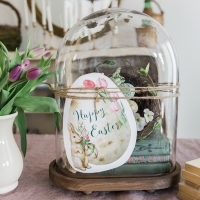 Some Easter eggs, moss and ribbons and this jar is officially an Easter globe! 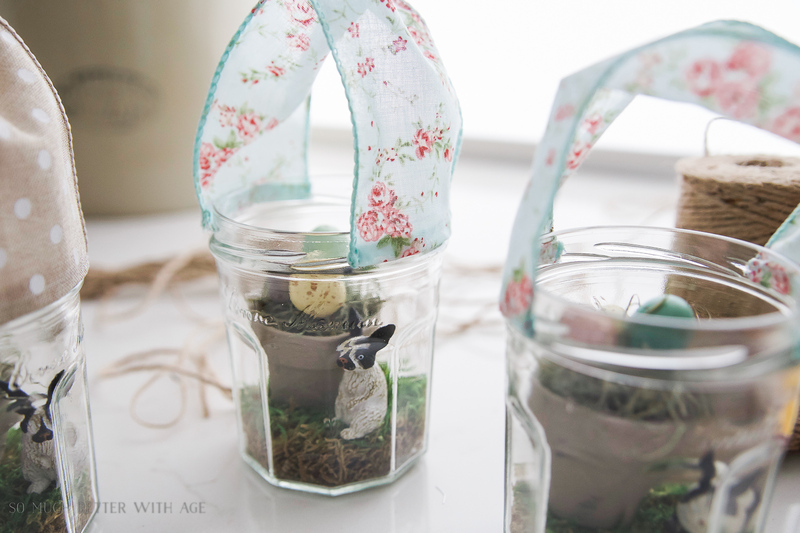 Let me show you how I made these adorable glass Easter jars with bunny ears. 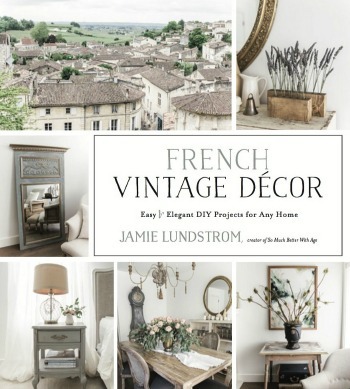 Mix 1 teaspoon (or 1 part) Fresco with 2 teaspoon (or 2 parts if making a lot) of Fusion Mineral paint. Mix together keeping it a bit lumpy. Paint on the clay pots leaving some clay showing through. The texture should be lumpy in parts. Brush on a bit of the green color to add a bit of dimension. 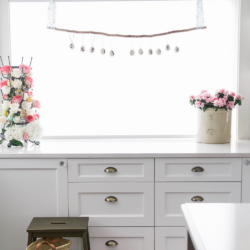 You can add green without or without Fresco. 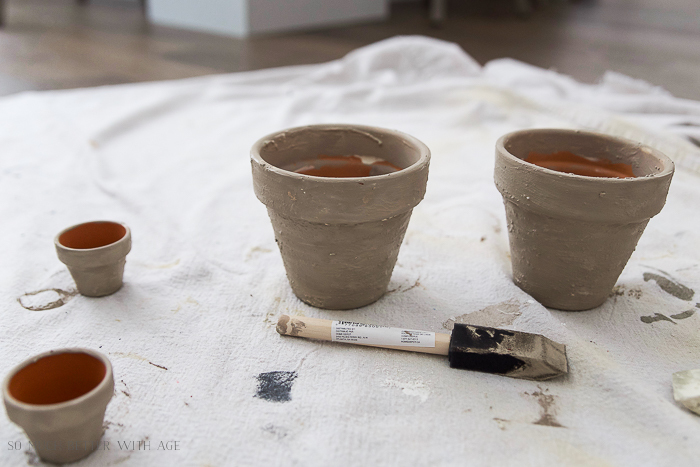 Here are some larger sample pots I was painting. 4. 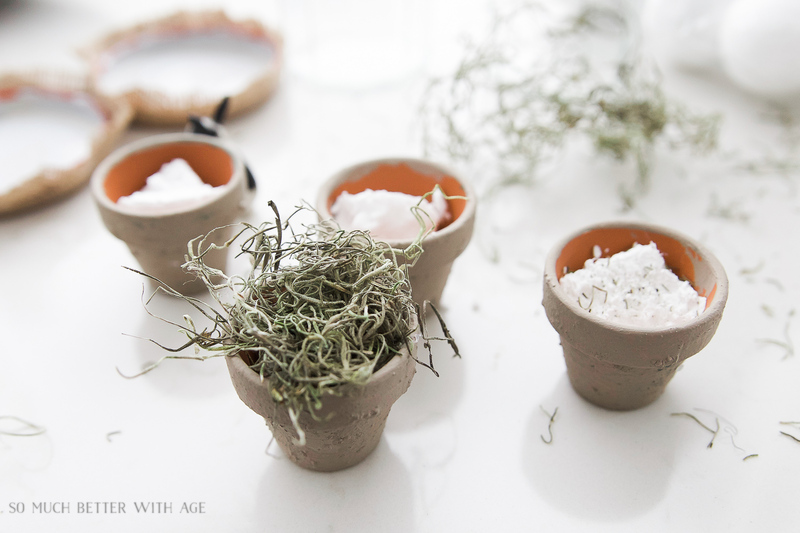 Add some styrofoam or floral foam to each pot. 5. 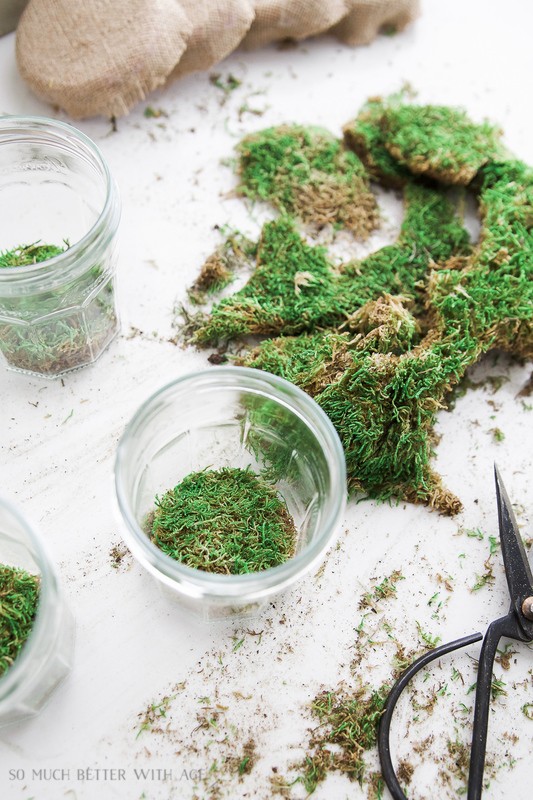 Add a dab of hot glue and push in some spanish moss. 6. Snip some eggs of the floral spray leaving some of the metal poking out of the egg for pushing in to the pot. 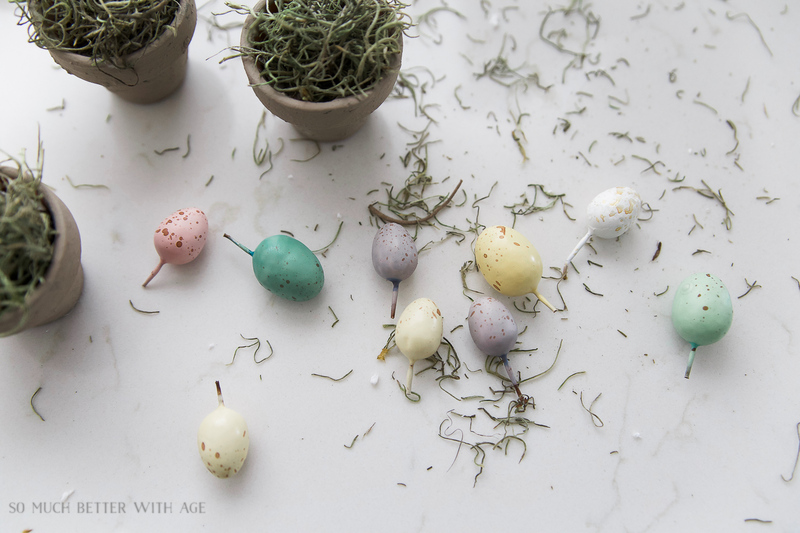 If you can’t find these Easter egg sprays, you can just glue in mini Easter eggs. 7. Add a dab of hot glue to the metal stick before pushing in to the pot. 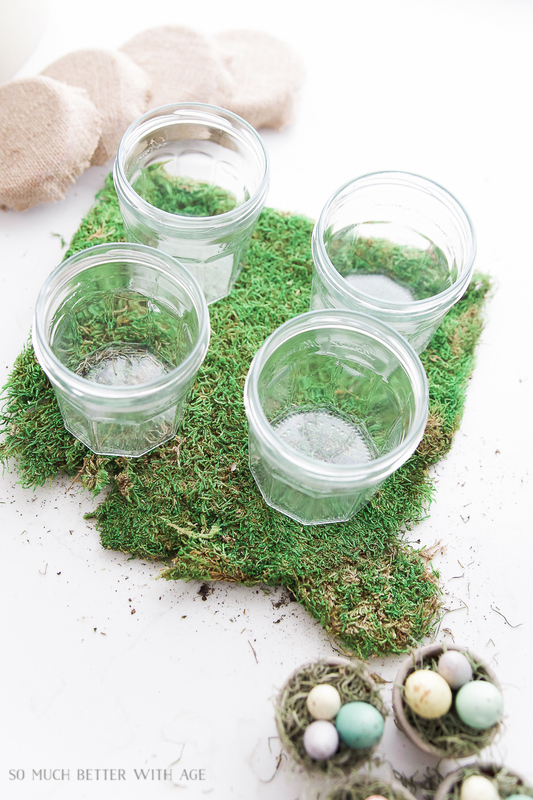 1.Cut out sheet moss to fit on the bottom of each jar. I made sure the moss was a snug fit so it didn’t need gluing into place. 2. 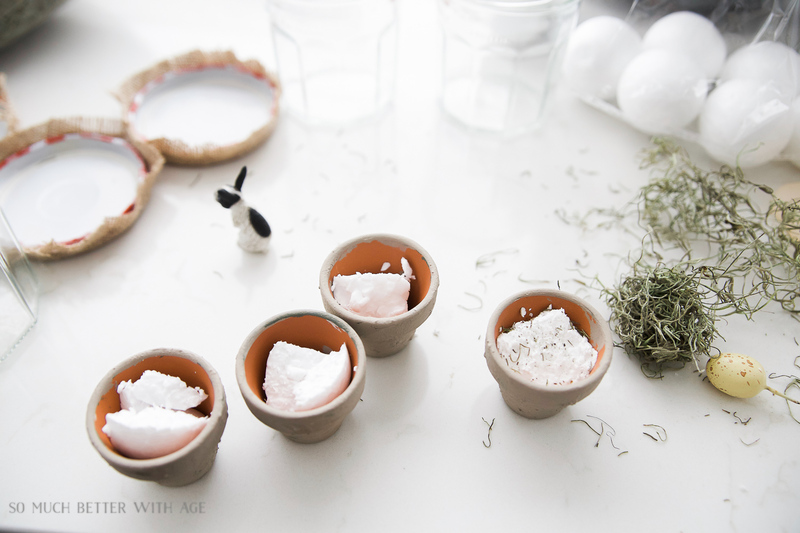 Put a dab of hot glue on the bottom of the clay pot and push onto the moss then add your bunny. My bunny didn’t need gluing as it was nicely wedged into place. 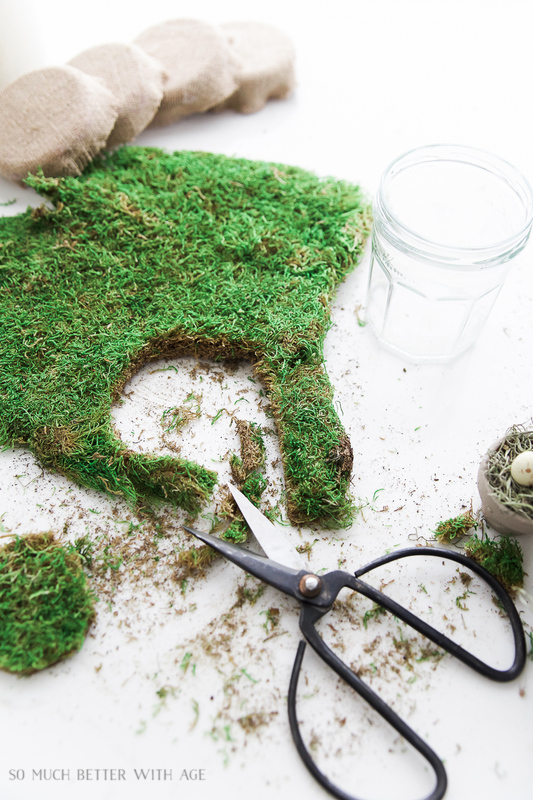 If you find you have more room in your jar, then put a dab of hot glue on the bottom of your bunny before placing it on the moss. 3. Next cut ribbon about 8 inches long and fold each end over twice about a 1/4 inch. 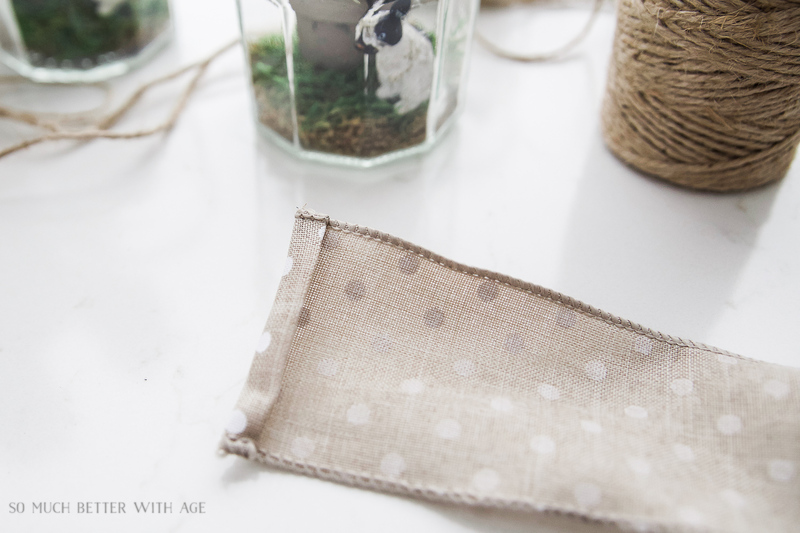 Add a thin line of hot glue under the fold making sure to not burn your fingers. 4. 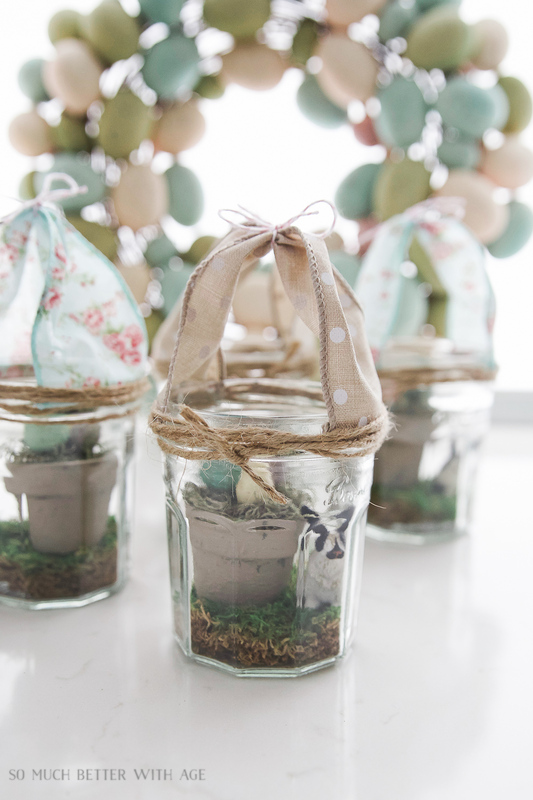 Add another line of hot glue to the top of that folded edge and press onto the side of the jar near the top (where the screw marks are on the jars). 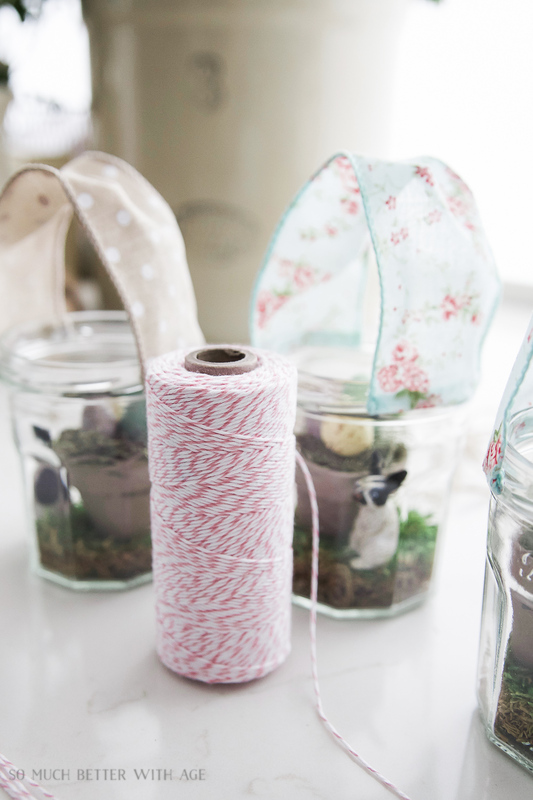 Repeat for the other side of the ribbon. 5. 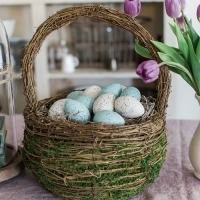 Tie some baker’s twine in the middle of the ribbon and knot it. 6. Tie it in a bow and cut the extra off. 7. 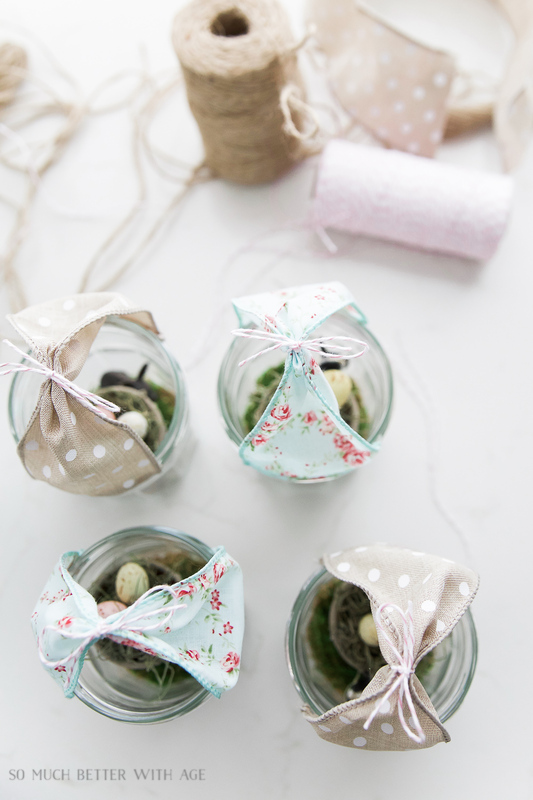 Wrap twine around the jar and tie tightly into place making sure the knot is in the middle. Cut the extra twine off. 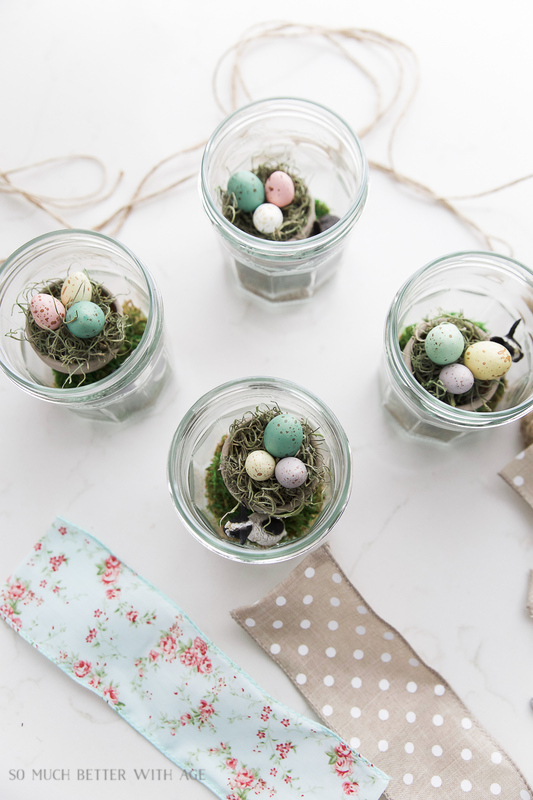 You’re now ready to display your adorable glass Easter jar with bunny ears! 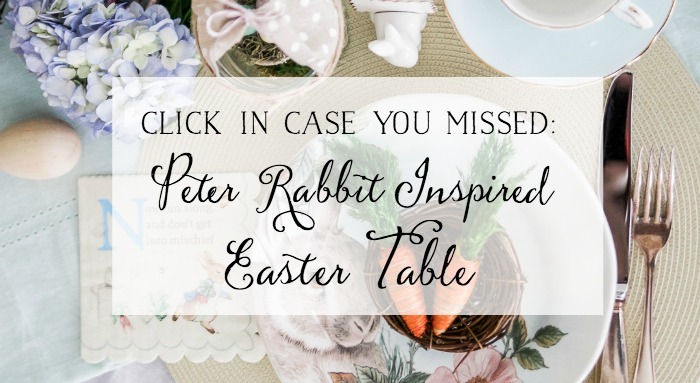 You can add them to an Easter table like this Peter Rabbit inspired Easter table I created. 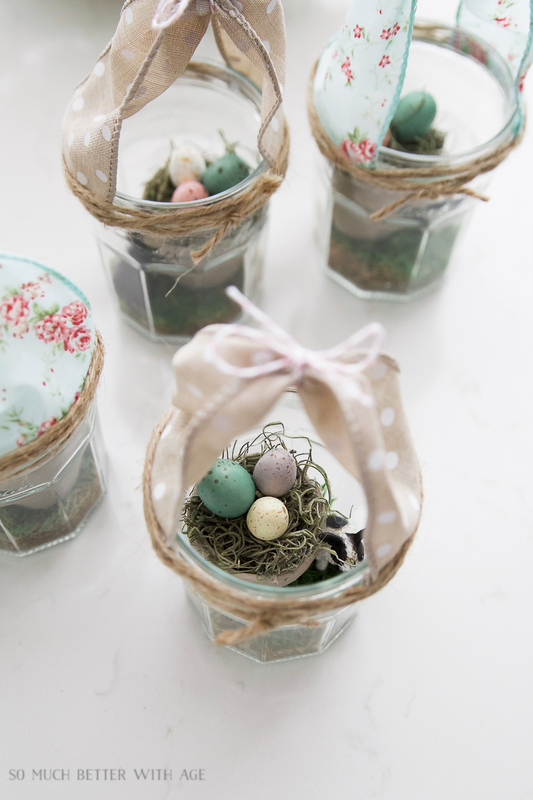 They are the most adorable Easter jars, aren’t they?! 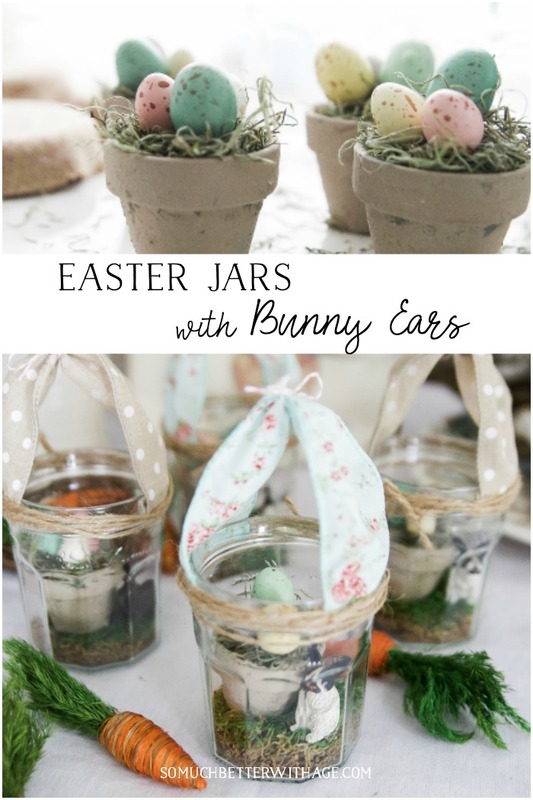 I hope I’ve inspired you to make your own Easter jars with bunny ears. 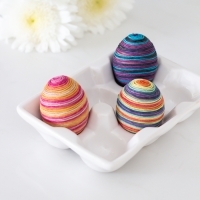 I think these are just the cutest things. 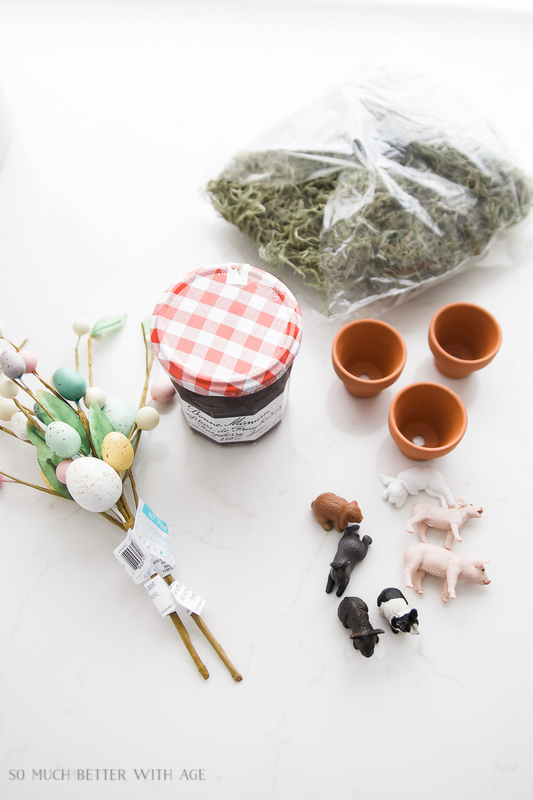 I don’t have anyone coming though for Easter dinner. But will keep this in mind for next time. 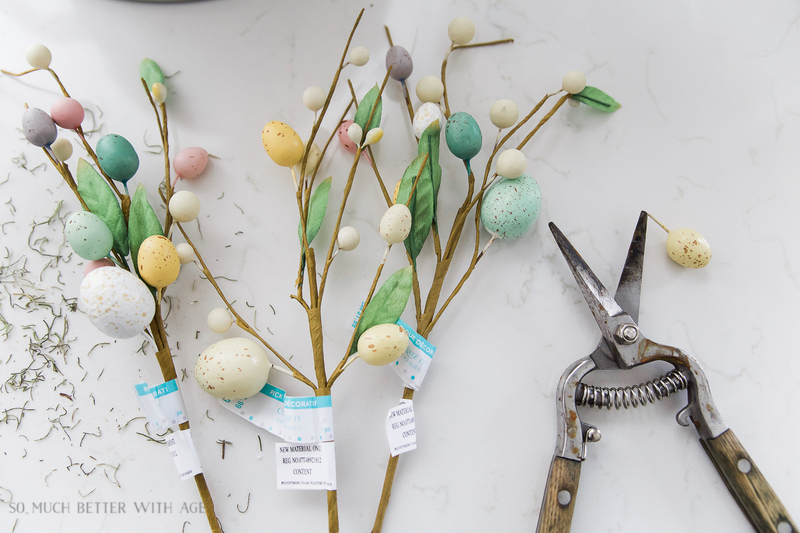 These are so adorable Jamie and so great for an Easter table. Funny, for some reason I thought Bonne Mamam jam was made here in Quebec, but you are right, it’s made in France. Babe, these are ridiculous! How do you come up with this stuff?! Amazing hun! 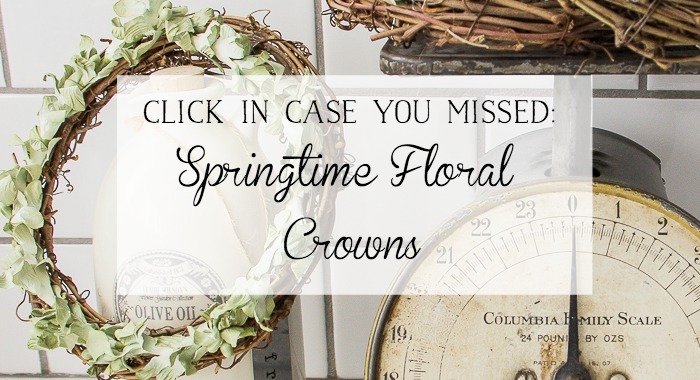 hey girl- these are so cute! 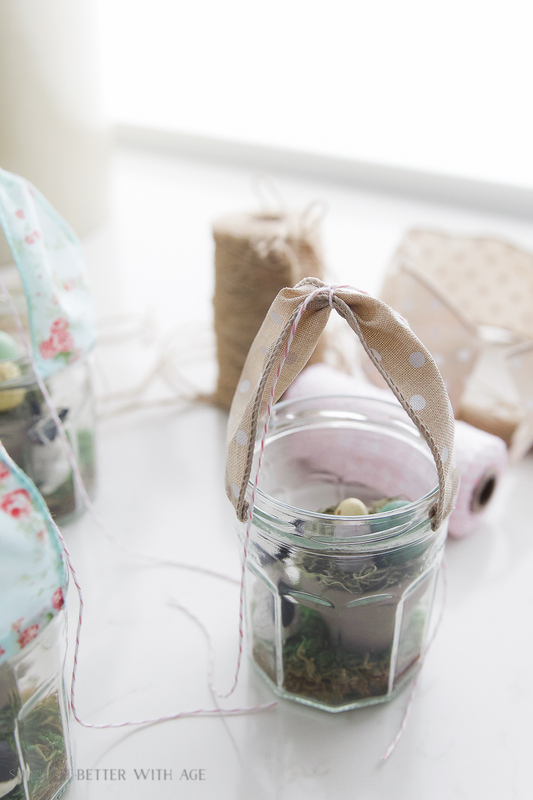 Your jars are just too cute. 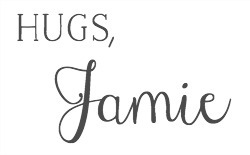 Love your ingenious ideas Jamie! 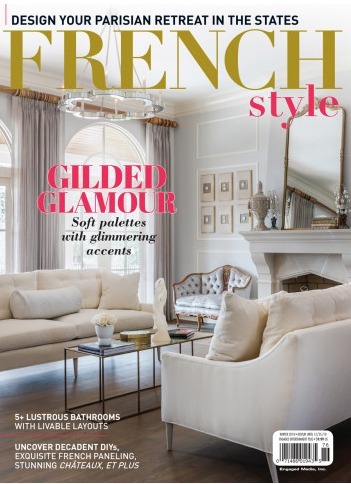 BTW Bonne Maman is our favorite in Texas too! 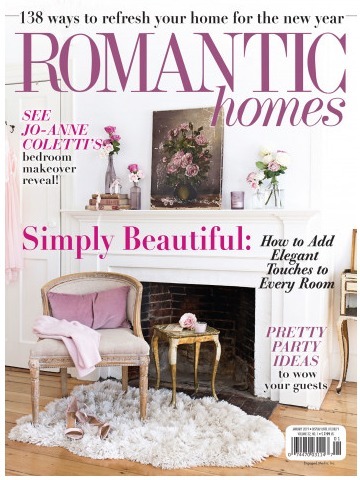 Isn’t it the best?? Thanks Michelle!